– We chose ServiceNow because the system had all the features we needed – and we really got value for money, says Thomas Michelsen, Service Desk Team Leader in JP Politikens Hus. – We needed a new Service Management System that could handle both Incidents, Change, Service Portal and Procurement. Our former IT system was outdated, slow and unstable. – Our everyday life is easier now. We see it especially in the incident section. Before, we spent a lot of resources answering calls from our users – to identify the problem, categorize and quantify it – in order to solve it. In the new Incident Management, the employee is guided through all these steps in an online procedure. – A task that really takes up ressources in a service desk is the recreation of passwords, says Lasse Wilén Kristensen, Service Management Consultant in BusinessNow. – Help desk spent about 30% of its capacity doing this. So we established a process to recreate passwords and this released plenty of resources for other tasks. – Before, a” locked “PC could occupy a lot of resources across the organization, says Thomas Michelsen. – While we were working at high speed in the help desk to unlock the PC, the employee often could not work because the PC was locked. Now, the employee is automatically guided through a process that unlocks the PC. This saves the time of many people. We had an average of 10 calls a day of this kind before implementing ServiceNow. – We have a department responsible for procurement and error reporting of all our IT equipment,” explains Thomas Michelsen. However, the error message procedure was slow – and the IT department became a delaying link because the error message had to pass our desk every time. Fortunately, this now belongs to the past. Our everyday life is easier now. We see it especially in the incident section. Before, we spent a lot of resources answering calls from our users – to identify the problem, categorize and quantify it – in order to solve it. In the new Incident Management, the employee is guided through all these steps in an online procedure. As a service management supplier and consultant, we wish to empower our customers, meaning both big savings in the bottom line and an easier everyday life, Lasse Wilén Kristensen adds. 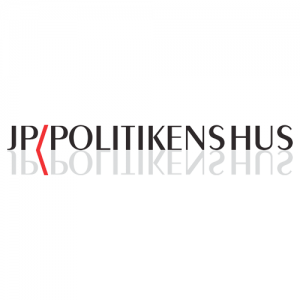 With the new system, the employees of JP Politikens Hus have much more influence on their workflows. The results are happy employees and big savings.